The picture of this Red-tailed Hawk in Flight was taken at the State Line Lookout on the Palisades. 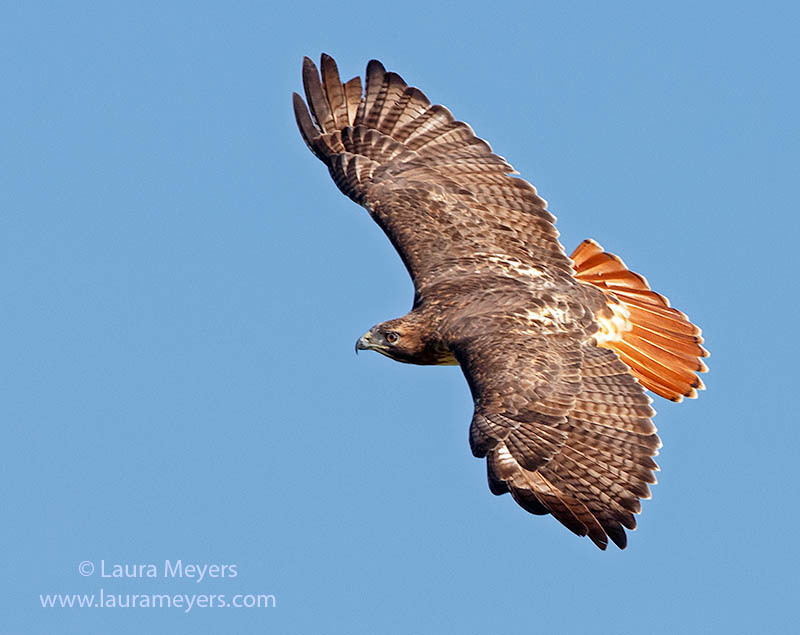 The picture of this Red-tailed Hawk in Flight was photographed with the Canon 5D Mark III Canon 300mm f2.8 IS II with the 2X extender. To hear the sound of the Red-tailed Hawk in Flight, click on the arrow below. A tropical falcon version of a vulture, the Crested Caracara reaches the United States only in Arizona, Texas, and Florida. 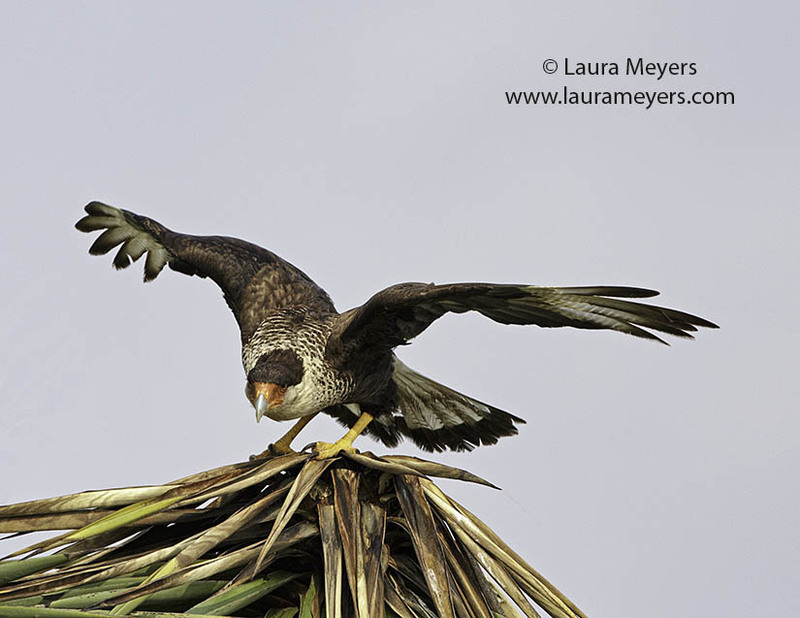 The picture of this Crested Caracara was taken in Boca Chica, Texas. The picture of this Crested Caracara was photographed with the Canon 5D Mark III Canon 300mm f2.8 IS II with the 2X extender. To hear the sounds of the Crested Caracara, click on the arrow below. 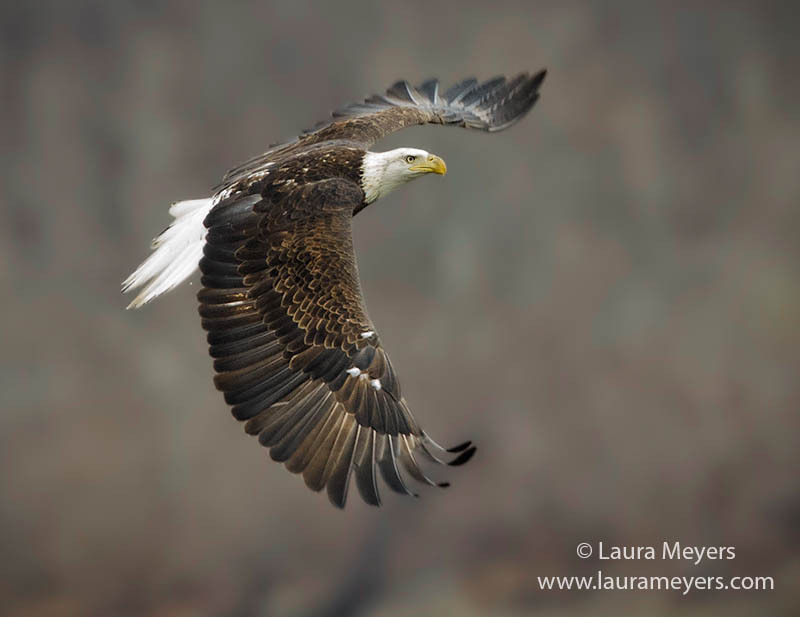 The picture of this Bald Eagle in Flight was taken at the Conowingo Dam in Maryland. The picture of this Adult Bald Eagle in Flight was photographed with the Canon 5D Mark III Canon 300mm f2.8 IS II with the 2X extender on a very overcast day. To hear the song of the Bald Eagle, click on the arrow below. 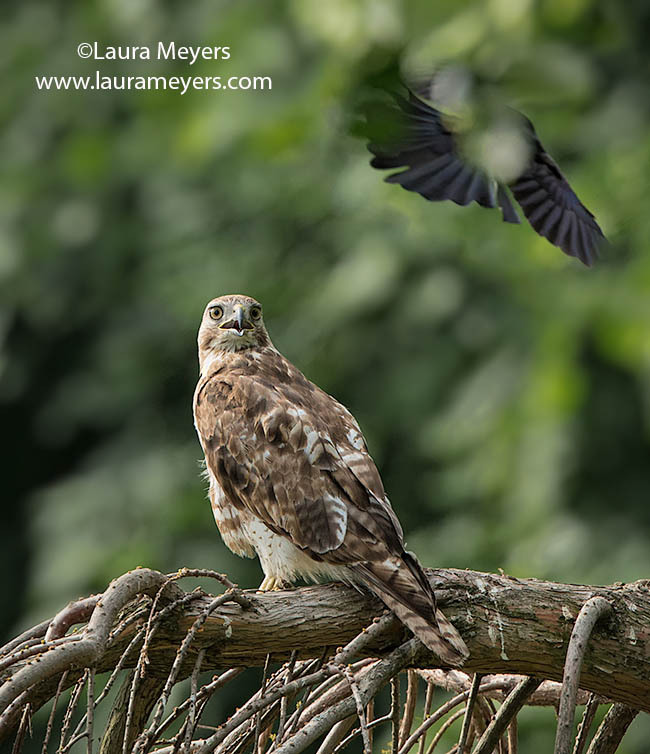 The picture of this Red-tailed Hawk was taken at the Green-wood Cemetery in Brooklyn, New York. The picture of this Red-tailed Hawk was photographed with the Canon 5D Mark III Canon 300mm f2.8 IS II with the 2X extender. To hear the sounds of the Red-tailed Hawk, click on the arrow below. 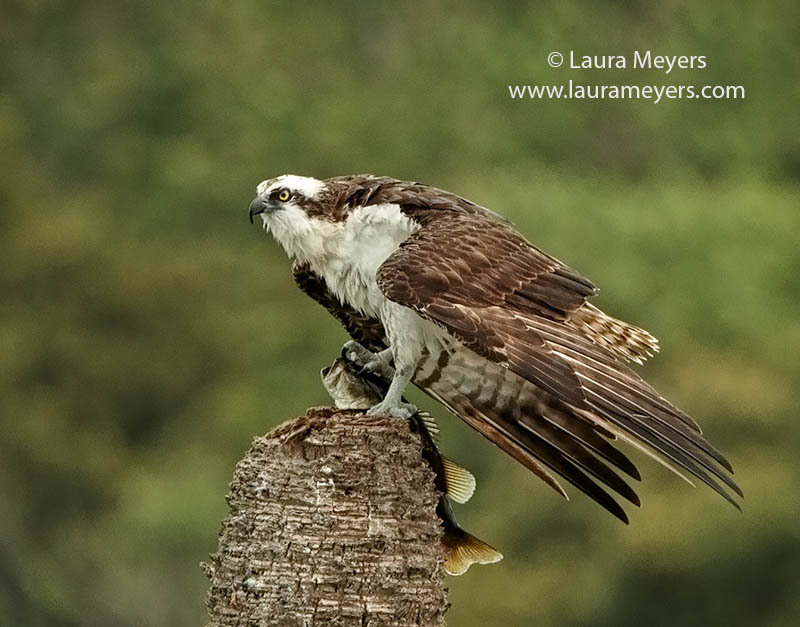 The picture of this Osprey was taken in the Viera Wetlands, Florida. The picture of this Osprey was photographed with the Canon 5D Mark III Canon 300mm f2.8 IS II with the 2X extender. To hear the song of the Osprey, click on the arrow below.